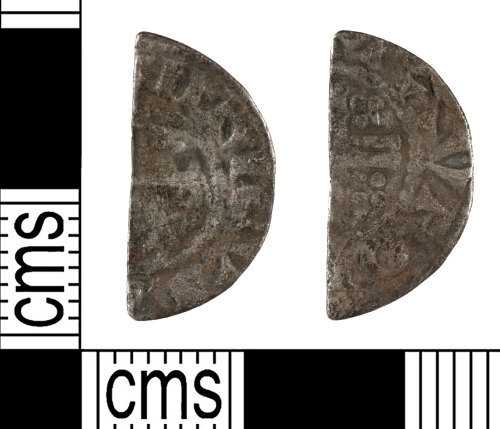 A silver cut halfpenny of John dating to the period c.AD 1204 - 1209. Short cross reverse. Moneyer Rauf. Mint uncertain. Probably Class 5. North Vol 1, p.221, no.968-71.